We will start our list with the de facto drawing tool that most designers have heard of and use on a daily basis. 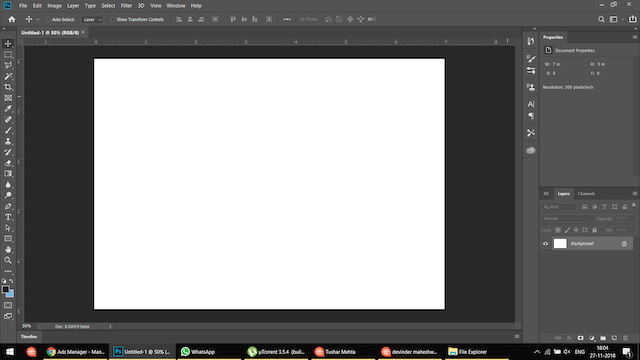 Adobe Photoshop is probably the best drawing program, and it gives you access to hundreds of different brushes with a very high degree of control over your strokes, smoothness of the brushes, and an excellent preset panel which makes it very easy to organize your favorite brushes in one place. Adobe Photoshop is one of the best digital drawing tools for creating packaging, banners, websites, logos, icons, and more. The app not only allows you to start with a completely blank canvas but also allows you to import your own images and use them as a starting point to create your digital masterpiece. If you are looking for something that is mainstream and powerful, look no further than Adobe Photoshop. Also, if you are looking for a free open-source software that has almost every Photoshop feature, you should check out GIMP. 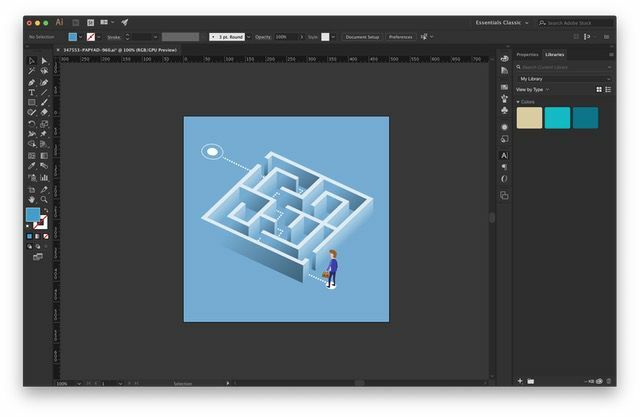 Affinity Designer is also one of the best drawing programs for Mac users who don’t want to pay a subscription-based pricing and still be able to perform at their highest. The app brings a complete graphic design solution for all of your needs. My favorite thing about Affinity Designer is that all its tools and features are built keeping end-users in mind. That means they are easy to access and easy to learn and use. 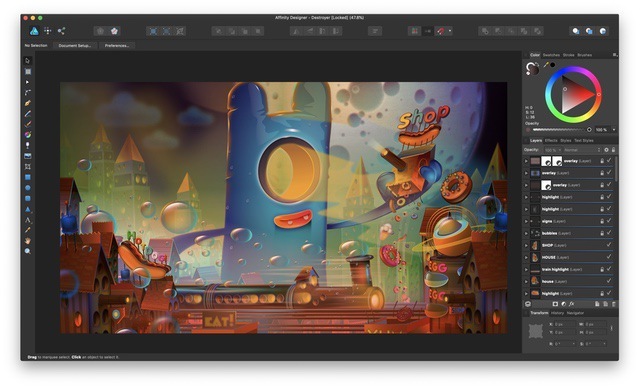 With Affinity Designer, you can create illustrations, icons, branding materials, printing projects, mockups, and more. The app also supports non-destructive operations which gives it an edge over its competitors. You will get all these features and more for just a one-time payment fee. For a long time, AutoDesk Sketchbook has been one of the best drawing programs on a Mac or PC and it still is the same. What’s even better is that the program is now completely free to use. That change has made this the best free dragon program for every designer out there. 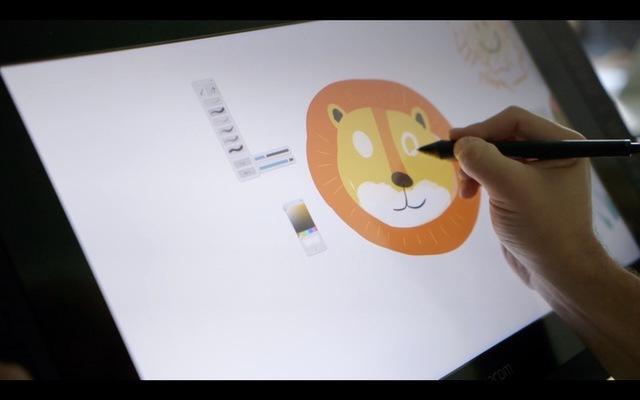 Whether you are a designer, an illustrator, or an animator, Sketchbook will help you not only improve your skills but also create amazing art once you are spend some time on it. My favorite feature of the Sketchbook is its minimalistic UI which dissolves out of your way when you are actually creating your piece. You are left with a blank piece of a digital canvas where your creativity can flow easily. Features are one of the many things that make AutoDesk Sketchbook one of the best drawing programs. There are more than 140 designer brushes, support for unlimited layers, blending modes, grouping of layers, and more. There’s also robust support for rulers and guides, custom perspective guides, predictive stroke, and more to help you in your creation. 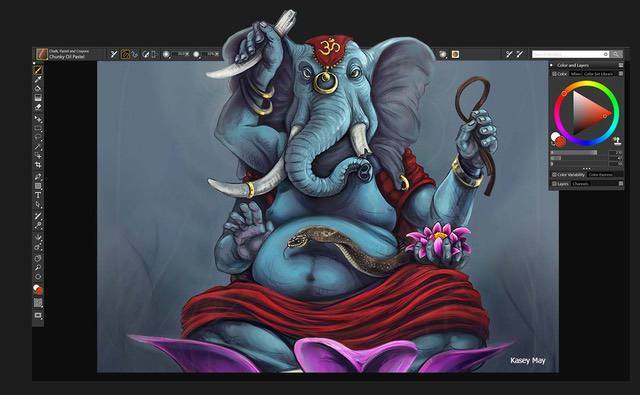 Another great tool for designers, illustrators, and digital artists is the Corel Painter 2019 which brings a plethora of tools to help you get the job done. Corel Painter markets itself as a tool for pros created by the pros. Fortunately, that description is not far from the truth. You get a huge selection of brushes (more than 900), exclusive particles, pattern pens, thick paint brushes, and much more. Corel Painter is supported by its huge library of video tutorials which is great for any artist to get started on. That being said, if you are a beginner, you will find it a little harder to get started on. However, if you intend to make this into your career, it’s not a bad move to start with a tool that you can use for the next 20 years. If you’re looking for the best drawing programs, I’d suggest you give Corel Painter a try. While Photoshop is a competent tool for designers if you are looking for the best drawing programs for vector design, Adobe Illustrator is what you should be using. 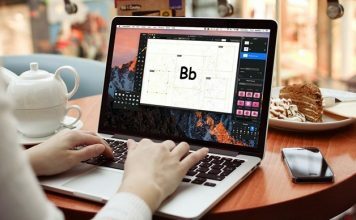 Hundreds of thousands of designers and artists use Illustrator CC to create everything from web icons and product packaging to book illustrations and billboards and are quite happy with it. 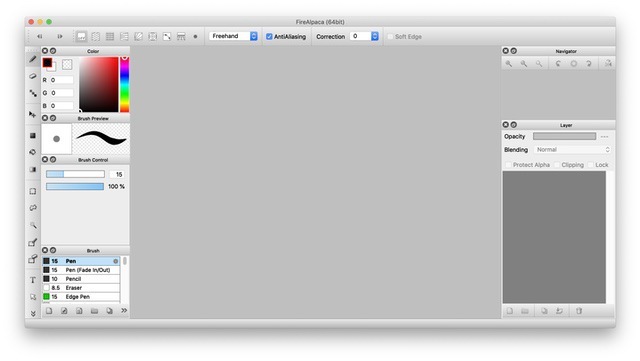 That alone is a testament to Illustrator’s features. With Illustrator, you will get all the tools that you need to turn simple shapes and colors into sophisticated logos, icons, and graphics. Since you are working with vector graphics here, your artwork can scale anywhere from a small smartphone to a billboard. You also get access to gorgeous typography and freehand drawing tools. Illustrator is definitely a drawing program you should check out. 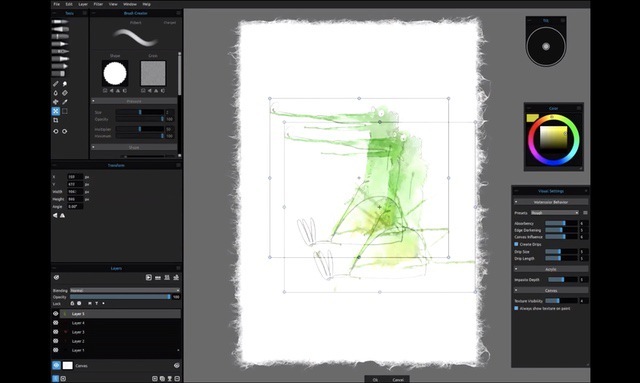 If you are looking for one of the best drawing programs that is free and open-source, and which brings all the professional tools at your disposal, look no further than Krita. 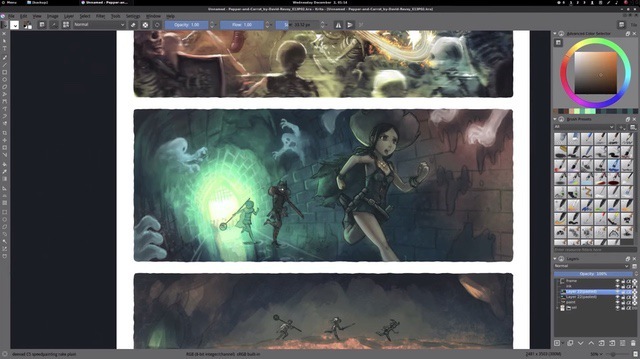 Krita is used by designers all over the world to create concept art, comics, illustrations, and more. While all the other above-mentioned drawing programs focus more on illustrations, Krita is more geared towards comics and concept artists. The app features an intuitive and customizable user interface with awesome features such as brush stabilizers, pop-up pallets, different brush engines, an extensive resource manager and more. If you are into drawing art and comics, you should definitely check it out. 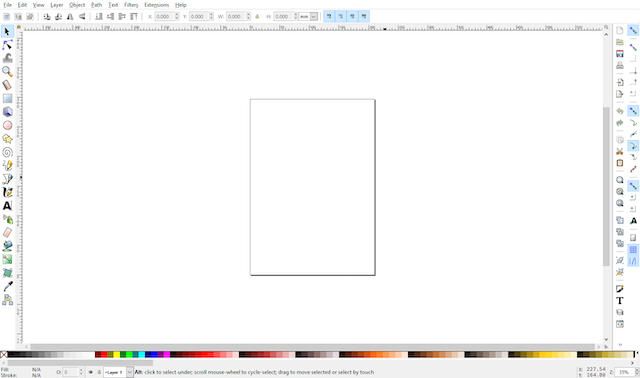 Another open-source, free, and powerful drawing program for creators is Inkscape. Whether you are an illustrator, designer, web designer or just someone who needs to create some vector imagery, Inkscape is a great free tool for you. The program offers plenty of features including object creation, object manipulation, color selector, node editing, path conversion, multi-line text support, anti-aliased display, support for almost all the major file formats and more. An open-source app doesn’t get better than this. In fact, Inkscape is probably one of the best free drawing programs that can work as a kind of Illustrator alternative as well. 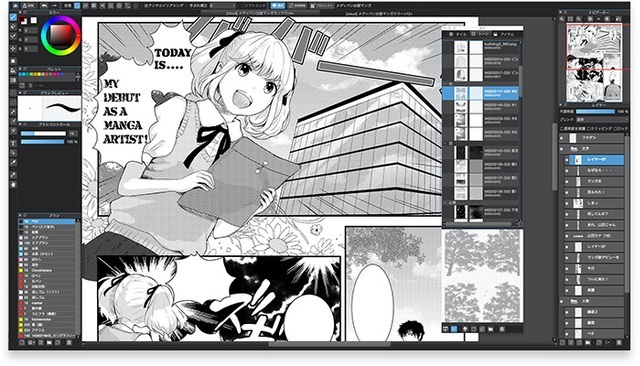 Clip Studio is one of the best drawing programs for artists and illustrators who primarily work on manga. While it can easily be used for normal illustrations and animations, it really excels when you are using the tool to create a manga. I mean, it is the official successor of Manga Studio and is recommended by all the major manga and comics creators around the world. The program offers features such as advanced pen pressure detection for natural, realistic-looking pen strokes, decoration tools for easy drawing of complex areas, vector layers, quick coloring, and more. If you plan to work in either the manga or comic industry, this will be your buddy in your journey. Rebelle is a one-of-a-kind paint software that lets you create realistic watercolor, acrylic, wet and dry media artwork, using real-world color blending, wet diffusion and drying. Developed by the artist Peter Blaškovič, Rebelle 3 was created as a project to find out if it was possible to create a paint program with the most natural painting tools. Well, the answer was a profound yes as the program is very popular and quite powerful. That being said, it is not for everyone, rather, Rebelle 3 is aimed at traditional painters and CG artists who want to take a dive into digital art with the skill set that they already possess. If you are one of them, definitely check this app out. If you’re using an older PC, or are simoly looking for a lightweight tool with some baic features, FireAlpaca is one of the best drawing programs for you. One of the best things about this software is that it is quite light on resources so people with older PCs can also make use of this app. While the more powerful apps like Illustrator and Corel Painter offer tons of features, they also require a quiet capable PC or Mac to run. On the other hand, FireAlpaca might be light on features when compared the heavyweights but it can also easily run on older hardware. I found this to be a great tool for beginners how cannot afford to buy a powerful PC or Mac. Also, the tool itself is completely free of charge so you don’t even need to spend a dime to get started. Another drawing program which doesn’t require a powerful hardware to run is Leonardo. Like FireAlpaca, Leonardo is light on resources and can run smoothly on years old Windows PC. The app works for sketching, drawing, painting, tracing, and whiteboarding. 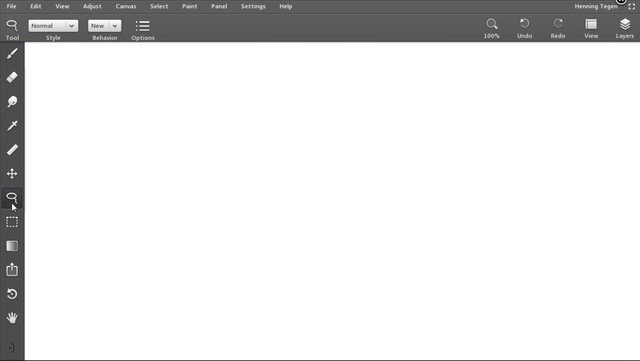 It offers an easy to use and intuitive UI which is very fast. Other features of the app include perspective drawing tools, infinite canvas, a powerful brush engine, and more. Leonardo is specially made for touch-screen Windows tablets which support digital pen inputs. So, if you have one of those tablets and want to dive digital art a try, check out Leonardo. MediBang Paint is a great drawing program for manga and comics creators. The app offers various tools including over 800 tones/backgrounds, brushes, over 50 brushes, and 20 fonts style. It’s a simple and powerful tool for people who are just getting started with their comics or manga creator’s journey and want a tool which can help them learn and improve. The app also offers cloud syncing across platforms. It offers apps for Windows, iPad, iPhone, and Android and all your work is synced across devices. It’s definitely a good option for a budding manga or comics creator. Mischief is primarily a sketching app which offers a couple of cool features which makes this app quite good. 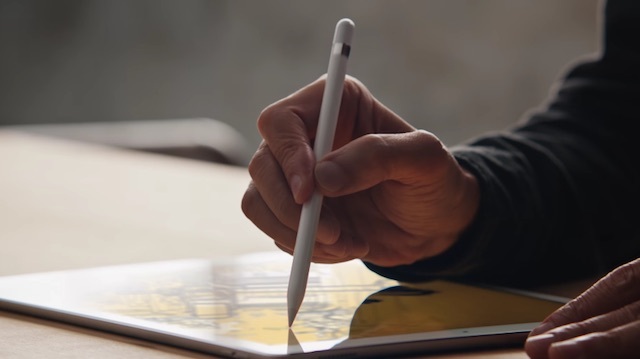 For one, it offers an infinite canvas allowing you to work freely and express yourself without limitations. Secondly, the app offers a feature called pins which basically allows you to drop pins at different locations in your art. Tapping a pin takes you directly to that point allowing you to easily check all the important parts of your sketch. If you are into sketching with digital pens, this is a great app for you to check out. If you are someone who wants to go beyond traditional tools and want to experiment with your art, then BlackInk is for you. 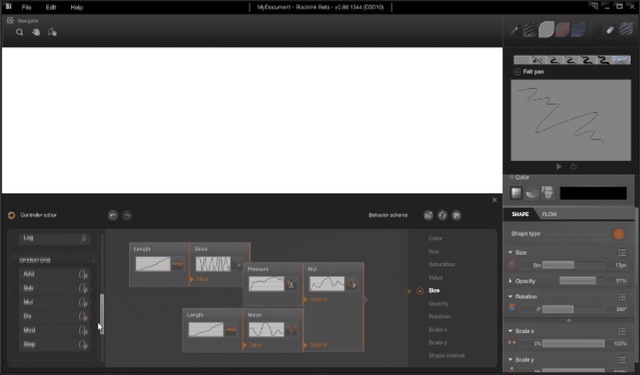 The app offers a groundbreaking controller system which allows you to create and customize your own brushes. 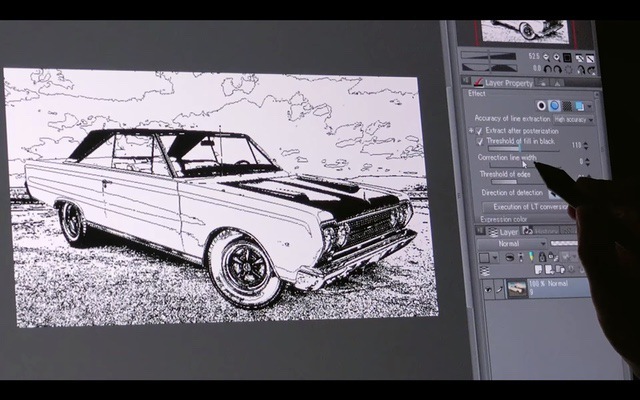 You can even customize existing brushes and paint a picture that only you can imagine. Artists can share their brushes with the community, so even before you start, you will have access to thousands of customized brushes shared by other artists. The app is also very smooth and as it uses GPU rendering to give fast performance. This is an app for people who like to experiment and if you are one, click on the link below to download it. 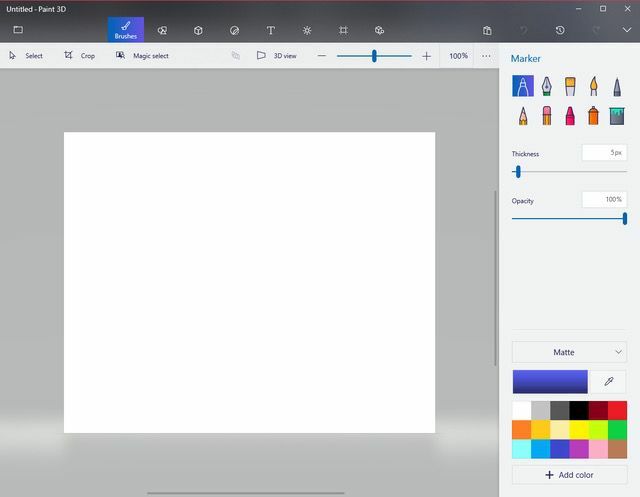 If you are just starting out and do the digital drawing on a non-professional basis, then Microsoft’s Paint 3D which comes pre-installed on Windows devices is a great option. The app offers tons of different brushes and tools. It’s a great app for beginners who are just testing out the waters as it offers an easy to understand user interface which is comfortable to navigate and work with. Regardless of your drawing skills, you will be able to create good-looking 2D and 3D models of objects and shapes. As I said, this is not a tool for you if you are at all serious about making your career in digital art, rather only for someone who just wants to pursue this is a hobby or pass time activity. That ends our article on the best drawing programs that you can get for your PC and Mac. I have include programs with are both free and paid and serve different use-case scenarios. Find programs for sketching, drawing, illustrating, and more. Do check the list out and let us know your favorite drawing apps amongst them all.